Before creating a Blog, You should know what is a Blog. A blog is a web site, where you write stuff on an ongoing basis. It is a platform to collect and share things that you find interesting and whatever you want with your friends and the world. It gives you own voice on the web. Come to main point - "how to create a blog"
1. 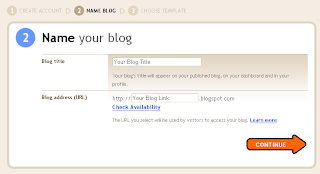 Open Blogger.com and click on create a blog. 2. Create a Google Account using your existing e-mail. If you already have a Google account perhaps from Gmail, Google Groups, or Orkut ; Use that username and password. Now click on Continue . 3. Give Blog Title and Blog address (URL) . Click on Continue. 4. Choose a Template and click on Continue. 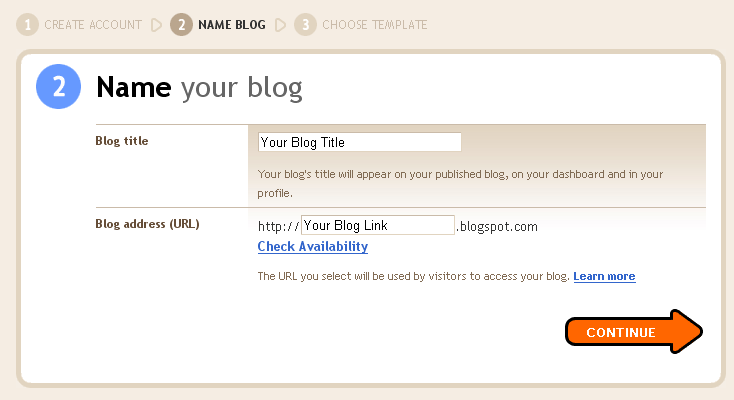 Your blog is created. Now you can post anything you want.